It’s now less than a week before your wedding. You’ve spent a year planning every detail, down to the seating arrangements and choosing the perfect font for your invitations. Suddenly it occurs to you that you have no idea what your DJs system looks or even sounds like! Will it be a tangle of ugly wires supported by milk crates blasting the kind of sound usually heard over the Walmart intercom? Will the bass be overwhelming, blocking out conversation and the ability for your guests to think? Will the DJ have incorporated some kind of cheesy lighting to try and cover the unsightliness of his rig? Thankfully, there is a simple way to evaluate your prospective DJ before you hand over hundreds of dollars as a non-refundable deposit. Forget checking for a business license (anyone can get one), or endorsement by some far removed, “official” DJ association. Send them their required fee and they will endorse you too. Whether your entertainer is recognized on paper or not, how his or her system SOUNDS is critical. Most DJs are not experts in the technical realm of sound specifications. They may not even know what “signal to noise ratio”, “total harmonic distortion” or “frequency response” is. The good news is, you don’t have to either! For many DJs the quality of their sound system is dictated by how much they can afford to spend. The resulting sound may turn out to be shrill (too many highs), unclear or “muddy” and even distorted. This is where your ears and eyes come in. Ask for a LIVE AUDITION so you can gage for yourself how the DJ’s equipment sounds and looks. If your DJ is not willing to “audition” for you, it may be because he is embarrassed by the look or audio quality of his rig. This is a red flag. Have the DJ play a song you know. One that that incorporates bass, drums, keyboards and vocals so you get a full range of sounds. Dance songs are usually good. Ask the DJ to turn it up for a moment. Now close your eyes and listen. You don’t have to be an acoustic expert to know if you like it. Is it full and warm or hollow and “tinny”. Does it sound like an AM radio or more like what you might hear in a movie theatre? Is the base “punchy” but not overwhelming, allowing room for the mids and highs? Are the highs too brassy, making dogs howl and ears bleed? Are the mid-range (vocals) present enough? Is the overall sound flat or is there “depth”? While the sound can be enhanced by the use of equalizers and sonic enhancers, the right speakers are key. Whether it’s JBL, Yamaha, Mackie or others, speakers have their own sound characteristics. And off-brand, budget speakers are often lacking in sound quality. Ask the DJ why he chose the speakers he has. Often great sounding, name brand speakers are not much more expensive than low-end, budget cabinets. If the DJ is scrimping here to save a couple of bucks, what else is is he cutting corners on? If there is too much “hissing”- brass or cymbal sounds (highs) or too much bottom end (bass), ask if the DJ can adjust it. The MIDRANGE is where the melody is- warm and full vocals, keyboards and guitar with the highs and lows serving as complimentary bookends. Now go find the sound YOU like. You’re already an expert as you’ve been listening all your life. Do a little EARWORK and you will feel confident as your event approaches, knowing your guests will experience complete sonic satisfaction! 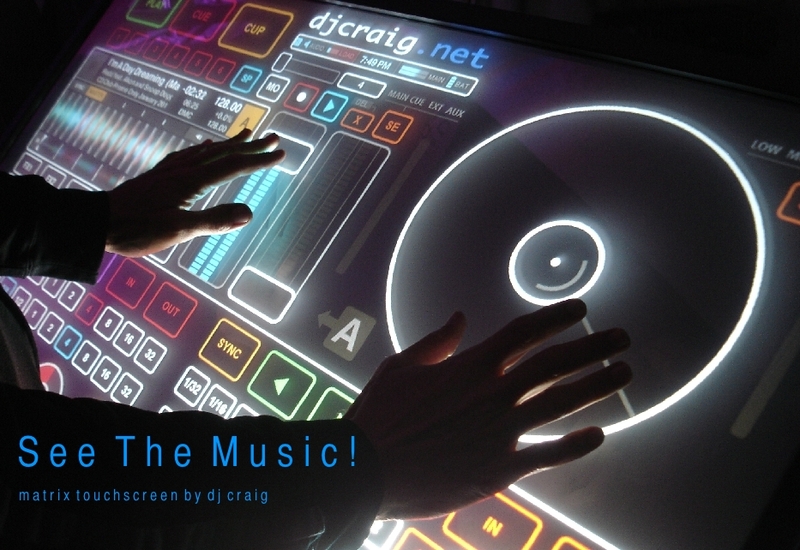 DJ Craig is an Emcee, DJ and Lighting Designer in southern California. When he/she is not bringing the noise, he can be found writing groovy blog posts for www.djcraig.net/. Nice and informative post. We will definitely consider your tips before hiring a DJ. Thanks for sharing. My buddy is getting married and wants a DJ at his wedding. He has no idea what to look for in a good DJ though and asked me to help him find one. This article has some great points that I think can help us figure out what to look for and how to hire one. Plus, if he has turntables like that? He’s gotta be a cool DJ. It is always best to give the DJ a song list so you know what to expect. Better not to have suprises. Because there are no do-overs. My sister is going to be getting married soon, and she wants to make sure she has a good DJ there to play some good music. That being said, I really appreciate you giving me some insight on DJs, and letting me know what kind of things are important to look for when hiring one. I’ll be sure to share this with my sister so she can use your tips to find someone soon. Thanks a ton for the help. Thanks for posting! Happy New Year from http://topweddingdjnj.com – http://jerseysweet16djs.com – http://royalentertainmentdjs.com. My best friend really wants to have a good DJ at his wedding. He asked me to look into it for him and see if I can find anything that can help us find one. It’s good to know that there are services that can be found at last notice if things don’t go through. I have no doubt that we are going to find a tight DJ before next month.